Chairman's Message - Why Should Relocation Services be Used? Which services are most frequently offered through Relocation providers? Relocation providers offer a wide range of services, and implement your relocation policies and company culture. Assistance in home search , which requires a solid knowledge of a country‘s real estate industry. Assistance with a country’s administrative, legal and legislative procedures. Assistance with all aspects of primary and higher level education systems. There are a vast number of other services, such as move management. Why should relocation services be used ? From a cost-efficiency point of view, this choice is beneficial to any type of organisation. The implementation of a permanent “relocation service” involves the daily engagement of human and financial resources. 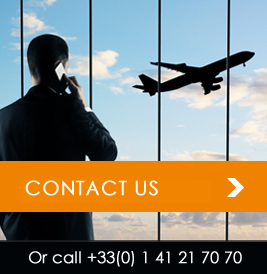 The use of relocation services supports companies and institutions in encouraging their team members to relocate. A change in home and work environments is always stressful. The job of a relocation professional is to reassure the transferee and support them so they may remain focussed on their job; this service guarantees ready and transferees employees. We could be defined as ” stress relievers “. .
How does one select a relocation service provider? In my opinion, a good relocation professional , is one who is able to guarantee his/her corporate clients service continuity. and a comprehensive service offering, providing complete coverage of services for our client. Furthermore, the ability to commit ourselves to quantifiable results is also proof of a Relocation company’s dedication. Another point to be carefully considered is: the teams ability to understand specific HR challenges, and their commitment to respecting confidentiality. Lastly, membership to certain recognised trade unions and professional associations is a guarantee of a code of ethics in the management of business processes.